A breakneck race against time...and an implacable enemy. An anonymous young woman murdered in a run-down hotel, all identifying characteristics dissolved by acid. A father publicly beheaded in the blistering heat of a Saudi Arabian public square. A notorious Syrian biotech expert found eyeless in a Damascus junkyard. Smoldering human remains on a remote mountainside in Afghanistan. A flawless plot to commit an appalling crime against humanity. One path links them all, and only one man can make the journey. Pilgrim. I thought I’d had enough of fast-paced crime this year, but this one was recommended to me by a work colleague. In previous months I have dabbled into small-time UK-based gangs and murders; here, I was transported into the world of American intelligence and faced with a far more terrifying and affecting crime. At almost 900 pages, it’s a mammoth tome, yet the plot is so intricate, and with so many twisting alleys, that the length is important, yet doesn’t feel overwhelming. 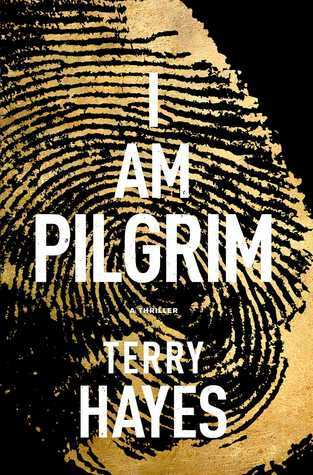 Hayes introduces a number of plotlines which all converge together, linking the murder of a young woman in a New York hotel room to a plot to murder the entire population of the United States. It’s not literature, but it’s definitely engrossing. Pilgrim himself was a considerably bland character. He was construed as the best at everything, a superhero of intelligence, yet didn’t pack much of a punch in terms of back story or personal development. Everything was in his brainpower and abilities (which actually ended up to be quite questionable), rather than who he was as a person. I wondered if there was some nod here to him having had so many different names and stories throughout his life that he ended up a magnolia hybrid of every single one. The big problem here is the whole premise of American – good, Muslim – bad. I’m not saying there should never be books about Muslim terrorists, but the novel was desperately missing something to enforce the fact that not all Muslims are radicalised, anti-Western killers. I really don’t want to pick at this, but there were a few other sections of text which made me feel uncomfortable and which could have done with some serious sensitivity reading. A definite gripper for those of us who thrive on thrills, murders, mysteries, and the dark secret world of US intelligence.